The assassination of President John F. Kennedy may be the most studied crime in American history. Yet 52 years later, there is no definitive answer to who if anyone besides Lee Harvey Oswald was behind it. A new play, “Assassination Theater” opened this week and although it presents an old theory, alleging the mob was behind it; it does so with government files, testimony and a plethora of sources that leave the audience riveted for the full two hours and 15 minutes of the show. 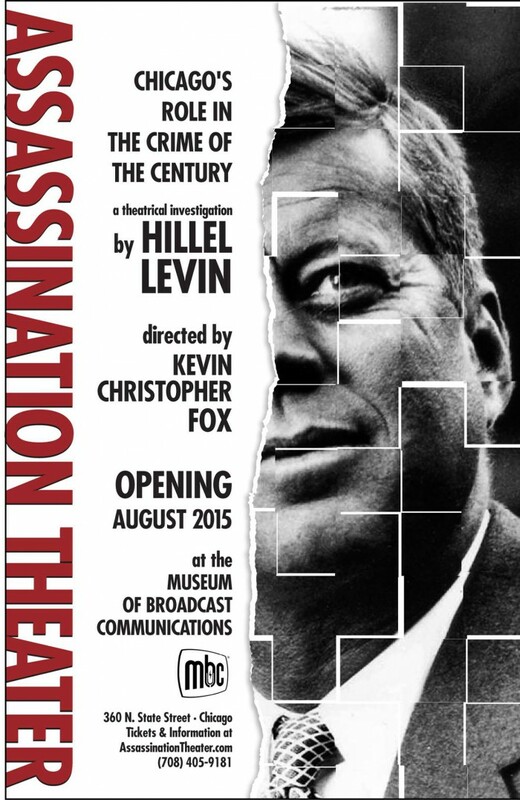 Perhaps because “Assassination Theater” is written by journalist Hillel Leven, the play is billed as a “theatrical investigation, based on documented evidence with sources for everything you see and hear,” according to press materials. The actors in the play, mainly Michael Joseph Mitchell as Leven and Mark Ulrich as former FBI agent Zechariah Shelton often speak directly to the audience, citing sources along the way. Mitchell and Ulrich, along with Ryan Kitley and Martin Yurek, who play a host of characters, all do an amazing job handling at times with what almost is an overwhelming amount of dialogue filled with facts and figures. 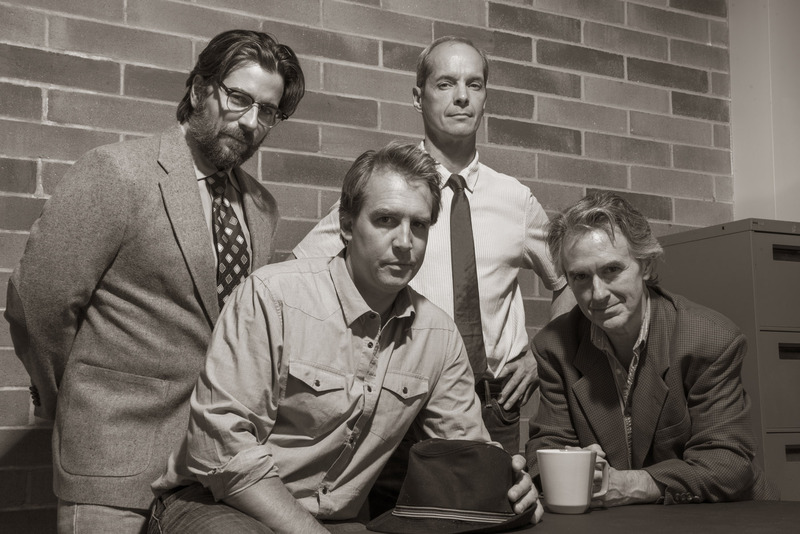 (left to right) Martin Yurek, Ryan Kitley, Mark Ulrich and Michael Joseph Mitchell in Assassination Theater. Photo by Michael Brosilow. Directed by Kevin Christopher Fox, at its core, the play is a combination of two stories –The first half focuses on the government’s rush to keep the blame on Oswald alone so a war isn’t started with the Soviet Union or Cuba and to ensure that the nation doesn’t panic. While the U.S. government’s intentions may have initially been good, the play shows how that policy has short-changed Americans from November 22, 1963 to the present. The play does a fine job of showing how Kennedy’s autopsy was a comedy of errors and the subsequent Warren Commission was nothing more than an investigative ruse that had the understanding even before it began its work that it was essential to keep the blame solely on Oswald. After a brief intermission, the second half of the play focuses on the mafia’s involvement. We hear often repeated allegations about the involvement of New Orleans crime boss Carlo Marcello and Miami boss Santo Trafficante. What is new here are the detailed allegations about the Chicago Outfit, led by Tony “The Big Tuna” Accardo, who ran the Outfit for 50 years and the hit men he sent to Dallas – Charles Nicoletti and Johnny Roselli. Without giving any spoilers, Levin paints a very convincing picture of the Chicago Syndicate’s key role, not only with Accardo, Nicoletti and Roselli, but the Chicago ties to Jack Ruby and Oswald, as well as a few others. At one point in the play, the Levin character tells the audience that it’s hard to believe guys with nicknames like “Momo” and “Big Tuna” pulled off the crime of the century and changed history. Perhaps not when you consider 19 guys with box cutters also changed history on September 11, 2001. While the Kennedy assassination has spawned an industry fueled by crackpots and conspiracy nuts, Levin’s play manages to debunk most of the common ones while focusing on facts. Interesting that most of the sources have been public knowledge for years now, but because of the conspiracy stigma around the Kennedy assassination, many respected journalists and historians avoid the subject entirely. Levin also alleges that the JFK Assassination was not the first time something so elaborate was staged by the mob. He ventures into the 1933 Anton Cermak assassination by Giuseppe Zangara. Long believed that President Franklin D. Roosevelt was the intended target, Levin isn’t so sure. And Zangara, like Oswald, may have been the perfect culprit (or patsy) to ensure the public believed it. Oswald had protested against anti-Castro groups and lived in the Soviet Union for a short time, making him a perfect pawn for the mob to recruit — knowing he’d draw more suspicion that he was a communist hit man than a thug working for the mob. Zangara was a similar pawn, with his rants against capitalism while hypocritically making money by being a hit-man. In addition, the play touches on the assassination of Robert Kennedy five years after his brother, alleging that Sirhan Sirhan probably wasn’t acting alone. The driving force behind that murder, no surprise — the mob. I thought that may have been a stretch, but perhaps that case should be looked at again as well. Throughout “Assassination Theater,” we are assured that Levin didn’t just take the word of one source and fall victim to a liar. Instead, he took seven years to piece together an investigative play that ends by offering up his sources to anyone interested and a call to action. Levin believes the Kennedy assassin deserves another hard look and urges patrons of his show to speak up to their politicians about it. I believe “Assassination Theater” deserves a look. You won’t be disappointed. Assassination Theater runs through November 7. For more information, click here. 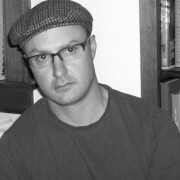 Also be sure to read The Chicago Ambassador’s interview with Assassination Theater playwright Hillel Levin.